Are you a dentist overwhelmed with the increasing number of patients landing at the clinic? Stuck with a room full of patient’s papers and struggling to provide the attention and care your clients deserve? Well, the solution to an efficient management of dentistry has come to your fingertips. 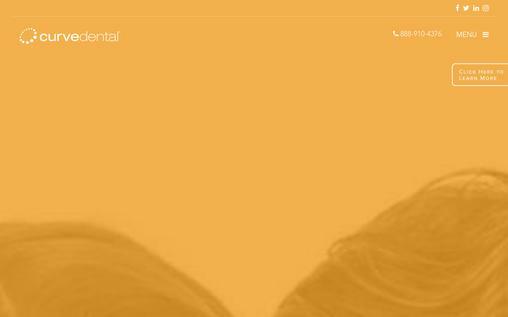 With the introduction to dental management software, worry no more! The dental software helps you to work faster and smarter with built-in tools to connect dentists and patients on any device. Availability of a variety of dental software out there, it is extremely important to choose the one that suits your needs. To make your search hassle-free, we did an extensive search and compiled the best 10 Dental Software for you to choose. 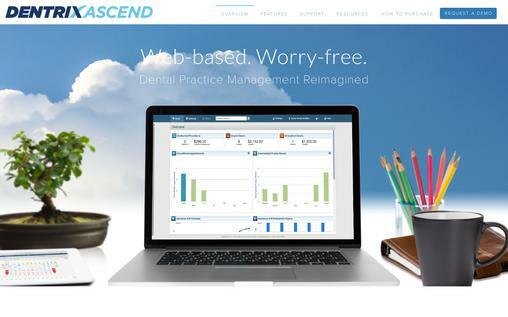 Dentrix Ascend is a cloud-based dental Practice Management software that allows dentists to sort outpatient records, schedules, and reports. The software has features to identify various dental tasks and allow optimal dentist-patient interaction, thereby enhancing efficiency and profitability. Unique Natural User Interface (NUI) allows daily tasks to be easily completed. It has an built-in Task Automation Management Intelligence (TAMI) allows repetitive tasks to be automated. The Multisite feature allows the patient’s records to be shared across different practice locations. Drag-and-drop interface creates customized patient reports with charts and graphs. Document Manager helps to easily add, search and manage patient documents and images. The cloud-based Phosphor Plate Imaging, which is ideal to share images electronically, require no backups, storage or upgrades. Patient Profile feature helps to track patients’ progress and provides visible alerts when a patient’s file is opened. Role-Based Practice Interface allows each member in different locations to be assigned a user role, which enhances team productivity. Curve Dental is a Dental Imaging Software that allows a patient’s images to be stored directly to the Cloud. The software includes features that allow patients to transfer their digital images with any camera or sensor. The dentists could access the patient images anytime, at home or office, thus offering flexibility and saving the need for a server or a third party software installation. Multiple servers in different locations back up dental images every hour, which provides high security and storage space. Dental charting feature allows dentists to simply use the mouse and plan treatment in no time, by designing multiple-surface restoration on the tooth. The drag-and-drop functionality comes as a flexible scheduling tool for the patients to change any of their dental appointments to a suitable time. This software features an Integrated Payment Processing with Bluefin Payment Systems, to allow patients to enjoy a quick and safe electronic payment option. A partnership with DrFirst offers a cloud-based ePrescription service, where prescriptions are digitally sent to a pharmacy, saving time and letting patients conveniently pick up a drug. 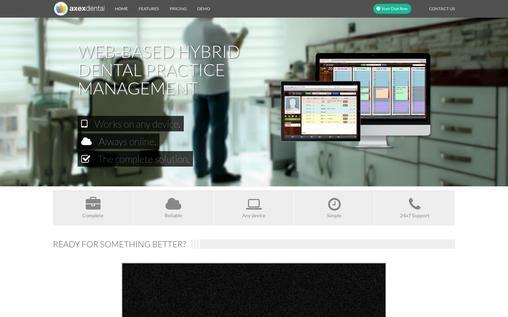 UmbieDentalCare is a cloud-based Dental Practice Management Software, designed for dentists to conveniently perform a variety of tasks on a single platform including scheduling, organizing patient records and billing. The Integrated Cloud X-Ray System offers mobility as it provides real-time access to dental images from any location. It offers effective patient and office management with Umbie’s Huddle feature. The Employee Management System provides Role Based Authentication, Employee Time Card and even vacation requests, promoting a smooth operation in the office. Dentists can share patient information across multiple-locations with Umbie’s Real-time dashboard using a single username and password, thereby managing multi-resources. This software is capable of E-Prescribing by sending prescriptions directly to the pharmacy with its Dental Business Intelligence (BI) Solutions. The clinic finances could be easily managed through speedy credit card processing and electronic patient invoicing, which is available with just a few clicks or touches on the screen. 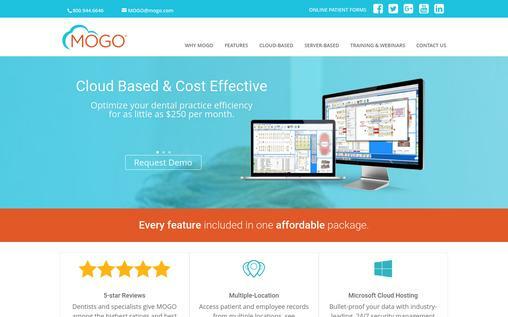 MOGO Cloud, in recent times, is one of the most advanced cloud-based Dental Practice Management software. This software is popular among dentists as it is powered by Microsoft Cloud and has interesting features to boost their dental practice efficiency with excellent technical and sales support. With just one click it lets the entire team, from the specialists to the front desk staff know when a patient has arrived for an appointment. Dentists can now give full attention to their patients by signing up for eStatements, which manages billing and cash-flow, thereby saving some valuable time. The inbuilt Global messaging system to cell phones keep everyone updated throughout the office, including staff meetings, and even if the person is out of office. Fully automated eReminders confirm reminder appointments and send out birthday cards to patient’s email addresses or mobile phone, with no third parties or extra modules involved, thereby boosting client relationship. Customers’ data are safe and secure with the enterprise-level relational database, Microsoft SQL. Reservio, while not exclusive to dental practice is nevertheless a powerful cloud-based appointment scheduling software that offers online booking solutions, which could be used by dentists to accept and manage appointments. Automated online booking and client reminders help to easily manage bookings and patients; saving time and money on phone bills. The software has features to track dental practice performance and the potential to improve services. It allows you to share your availability among patients by accepting 24/7 online bookings. The software provides high security and protects data as it is regularly backed up and secured with 128-bit SSL encryption. It has advanced scheduling features which include the ability to pre-plan meetings based on customer details and their transaction history. With its staff management tools, the details of individuals in a team such as staff holidays, sick days and days off could be managed. You can get the starter plan at $10 per month. 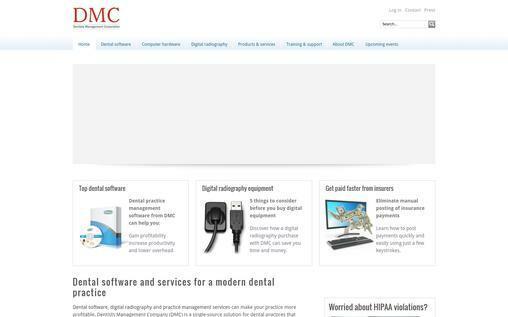 The dental practice management software, Dentists Management Company (DMC) is perfect for modern dental practices. With ever-growing patient needs, the software is perfectly designed to boost the order and efficiency of your clinic and helps to promote profitability by improving patient satisfaction. Connecting the front desk with the clinical area for transaction recording is never a problem with the easy-to-use platform, which updates everything in real-time. Office profitability increases due to the availability of electronic payment processing with the advanced electronic remittance feature. The software is able to readily import Digital images by integrating the digital X-ray equipment. Offers the automated dental recall feature, reminding patients of their upcoming treatment, thereby saving money on traditional phone calls. The prescription writing software helps you to make accurate, error-free prescriptions, which can be recorded and printed from any connected computer at the office. 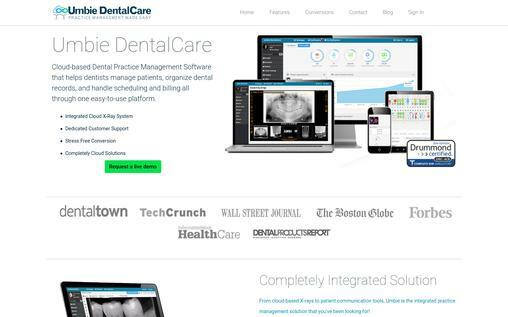 DentiMax is an award-winning Practice Management Software integrated with Electronic Health Records and Imaging software, which dramatically eases the office work of dentists both financially and clinically. In partnership with NEA Fast Attach, X-ray and other insurance attachments could be transferred electronically. The software allows treatment estimates to be created with digital patient signatures. Clinical note builder allows clinical notes to be created really fast. 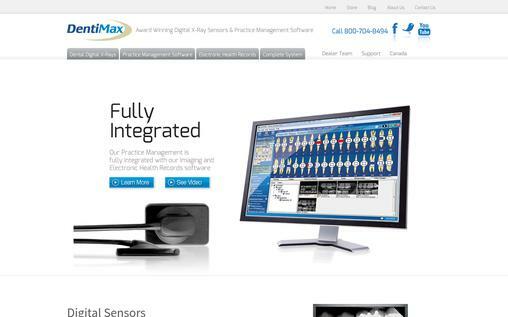 DentiMax’s imaging and charting are well integrated and don’t require any third-party to bridge these two systems. The Digital X-ray of a tooth could be accessed by simply clicking on that tooth from the patient’s charting screen. The sensors, although smaller and thinner are durable and user-friendly. 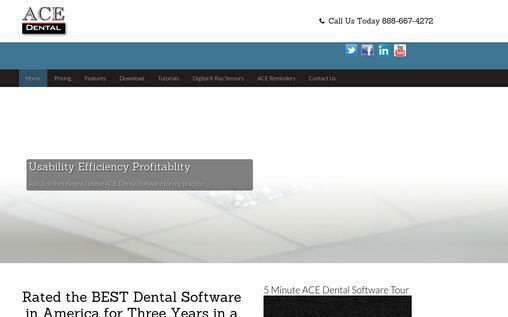 ACE Dental is ranked as one of the most convenient software that caters to all the needs of dental practice management. It is scalable in the sense that it could be used for both small and medium-sized offices. You can use it either by installing on a single computer or on a network to accommodate many users. Using the appointment pre-blocking feature helps to control the appointment book, thereby enhancing productivity by focusing on primary procedures. The 3D restorative chart feature allows you to enter the treatment plan, existing treatment and completed treatment. Its 3D aspect allows the presentation of movement like rotating and drifting of individual teeth. Although Clinical notes could be hand typed, the software offers shortcuts which are time-saving. Plus, it could even automatically tag procedure codes to create a new note. It makes it easy to generate prescriptions, which could be saved as a template. Sending Patient Statements is easier than ever which could be completed with just a few clicks, remarkably saving time. The web-based service is available at $99/month. 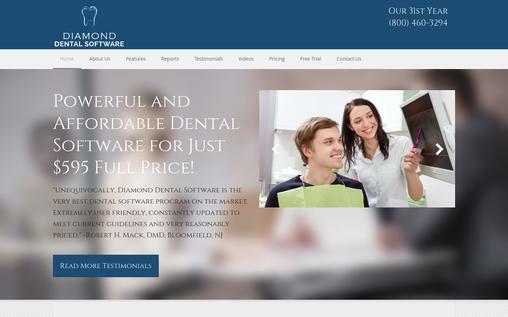 Diamond Dental Software has been around for more than 31 years with newer versions developed from time to time. The program was developed by a dentist, therefore only qualified people with the right expertise are part of Diamond Dental. Hence the software is able to provide good technical support for dental concerns. The newest version of Diamond Dental is flexible, operates well in Tablets and is compatible with all Microsoft Windows versions such as Windows 10, XP and Vista. Diamond Dental Software can be installed on a common network to allow multiple-user access. Also, it does not restrict the number of users. 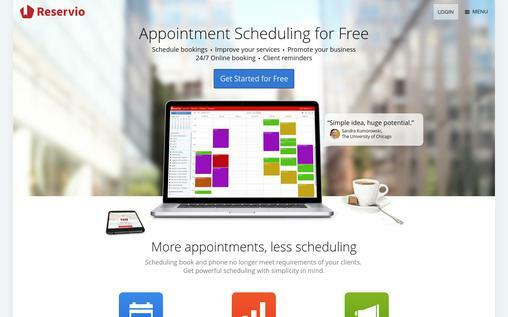 The Appointment Scheduler is arranged to give a visual representation of the schedule with colourful appointment blocks and makes it clutter free. Diamond Dental is licensed by the American Dental Association to display full procedure code descriptions. Plus, their explanation on screens, is highly educational to practitioners. It comes at a very affordable price of just $595 (one-time). Axex Dental is a hybrid cloud-based dental practice solution which allows dentists and patients to connect on any mobile device. It is extremely easy to set up with its intuitive user interface and only requires the server to be plugged into your network. This helps in eliminating any installation hassle. The FastCHART tool allows dentists to easily enter performed and planned procedures on touch-based devices. This helps in reducing the need for paper charts. Visually detailed reports help to keep track of patients and finances. Each member or doctor in the office could create multiple operatories and customize their display. The ability to accept card payments on any device enhances profitability. This helps in providing customers with an easy and more convenient payment option. The pricing plan starts at $200 per month. With the growing need to digitalize dental practices, the dental software offers the optimal solutions to cater. It has various simple and easy to use features that help dentists to accomplish tasks in no time. This helps dentists in providing convenience, ease, and satisfaction to patients who seek dental services.